Roses and lilies are the perfect combination so we knew they would make a stunning gift. These large-headed red roses are the classic choice for Valentine’s Day, and look stunning with the beautifully fragrant pink Oriental lilies. 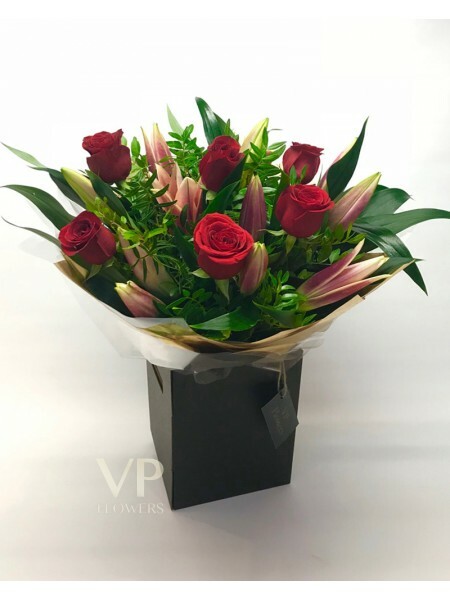 Professionally made by VP Flowers florists, it’s an impressive bouquet and a very romantic way to say ‘I Love You’. Create your own bouquet by choosing the right colour of lilies and roses to suit your needs.